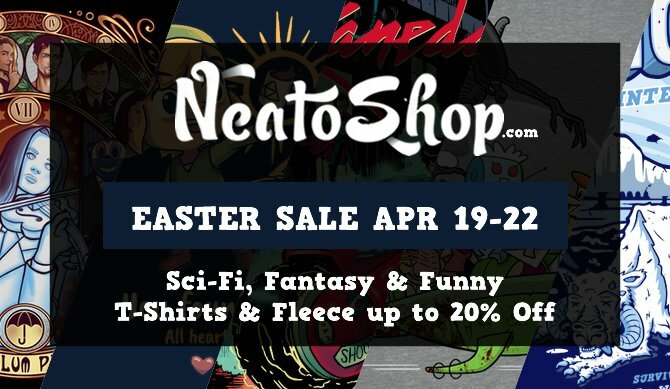 NeatoShop Easter Sale: Save up to 20% on all sci-fi, fantasy & funny T-shirts! Pew pew pew! Tons of neat designs for your favorite Sci-Fi lover! From magic to dragons, elves to wizards - we've got all things Fantasy that you'll love! Make your friends and family laugh out loud with these funny shirts! 100,000 designs from 1,300 indie artists in your fit: from unisex T-shirts, super soft ringspun premium shirts, ladies slim fit shirts, to kids and baby tees. Prefer heavyweight shirts? We've got that, too! Our Specialties: Big&Tall, Curvy and Women's Plus Sized Tees. We specialize in those darn hard-to-find sizes, because we know that one size does not fit all. 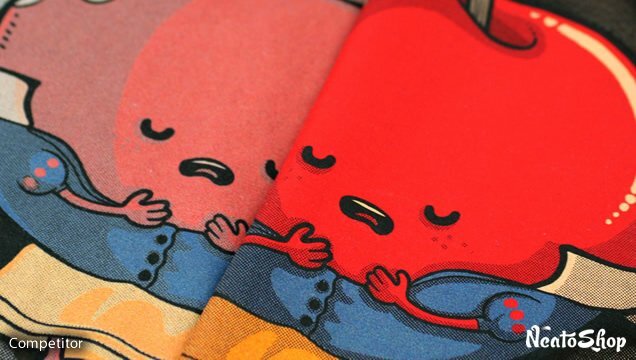 Our artists called it "Hi-Def" print because our shirts have sharp details and vibrant colors. But don't take our word for it, see for yourself: side-by-side comparison and artist reviews. Need larger sizes? We've got you covered! Big & Tall sizes 3XL, 4XL, 5XL, 6XL, 7XL, 8XL, 9XL and 10XL are available. We carry Ladies Curvy Size 1 (14/16), Size 2 (18/20), Size 3 (22/24) and Size 4 (26/28). Yes! We take special orders and can print your own artwork on apparel, posters, and more. Contact us to special order a T-shirt in your size or for a custom/personalized order. Need a custom T-shirt? We can help! 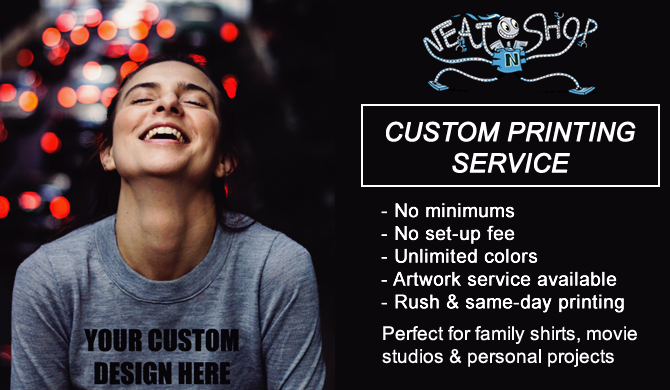 Check out NeatoShop's Custom Printing Service.